Here is a live video drone that folds down to a 7″ cube, so you can take it with you everywhere. 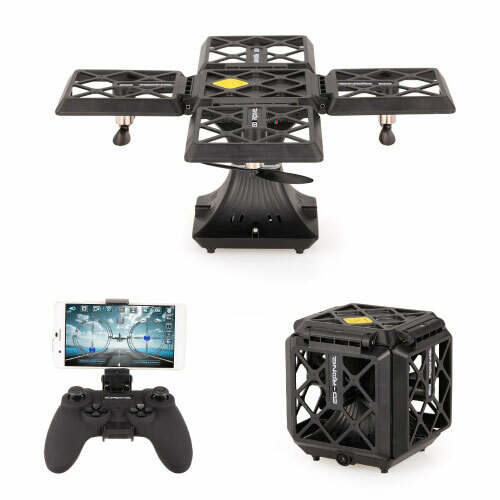 The EDrone Black Knight Cube drone comes with 6-axis gyro stabilization for smooth flights. It has a 2MP camera to capture 720p video. You can interact with the camera from your iOS or Android device. This foldable cube drone can perform 3D flips and other fun tricks. 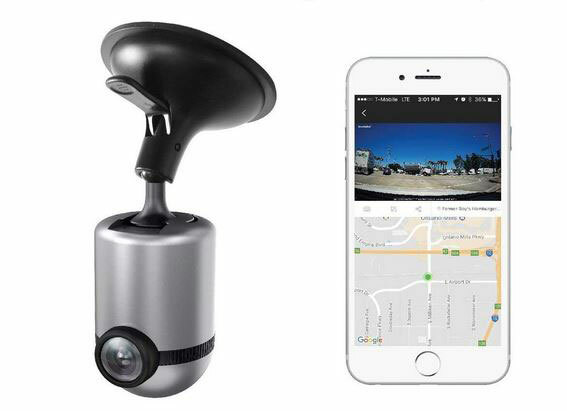 It features a headless mode, barometer, and G-sensor mode for easy control using a smartphone. Sets you back under $50.